Leading barrister Michael Bowsher says the Transatlantic Trade and Investment Partnership (TTIP) does allow for private US firms to snap up NHS contracts. 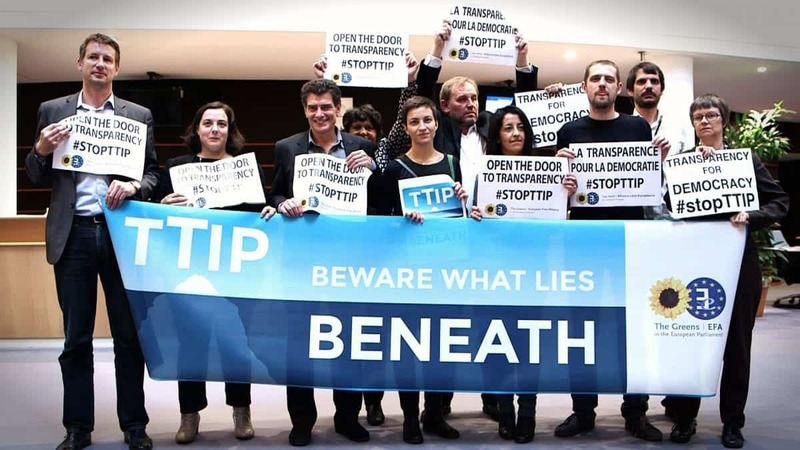 The legal analysis has also revealed that the controversial TTIP (Transatlantic Trade and Investment Partnership) deal would mean NHS privatisation maybe irreversible for future governments. The controversial trade deal would give investors new legal rights, which extend beyond both UK and EU law as well as NHS contracts. The US-EU deal is aimed at removing trade barriers between the world’s two biggest trading blocs. The threat to the NHS from the deal may yet prove a rallying point for leftwing out campaigners in the upcoming EU referendum, desperate to try and keep the NHS away from big business. Bowsher also warned that it could allow private companies with links to NHS contracts to win higher levels of compensation through bypassing domestic courts. Gail Vartmail, Unite’s assistant general secretary, said: “The UK government has no right to allow EU bureaucrats to negotiate away our ability to control the future of our NHS. David Cameron has the power to exclude the NHS from the trade deal – he must act and prevent the irreversible sale of our NHS.